Pink Milk: Lost - One Plot. If Found Please Return ASAP. Lost - One Plot. If Found Please Return ASAP. It's a well known fact that the moon's cycle can affect people's biorhythms and, I've heard (and selectively remembered) that people with green eyes are particularly susceptible. Phew. Either that or I've lost the plot. I have broken things, spilt things, burnt things, lost things, forgotten things, hurt myself, hurt my car, made mistakes and put my foot in it. I've been ratty, stressed, impractical, clumsy and away with the fairies. Then, just to round off the week perfectly, my car got a puncture on the way to school this morning. Of course it did. Joy. I think the only thing I've managed not to do this week is face-plant a pile of freshly-laid dog poo but, hey, there's still time. 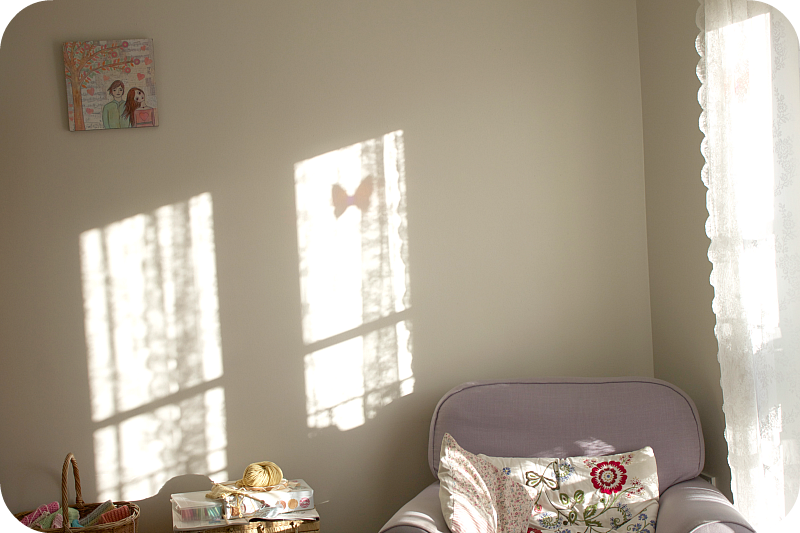 Oh how I love a sunny corner. Despite being lucky enough to have a little craft room, this is where I prefer to sit and crochet. It's always flooded with light. Our house is a peculiar upside-down, three-storey affair with the lounge being on the second floor, at the back. Just to the right of my armchair, as you look at this picture, there are double doors with a juliet balcony. From here I can see into about twenty gardens, including our own, and nose to my heart's content. One of my favourite recent purchases. I simply cannot tell you how deliciously chocolatey it smells. 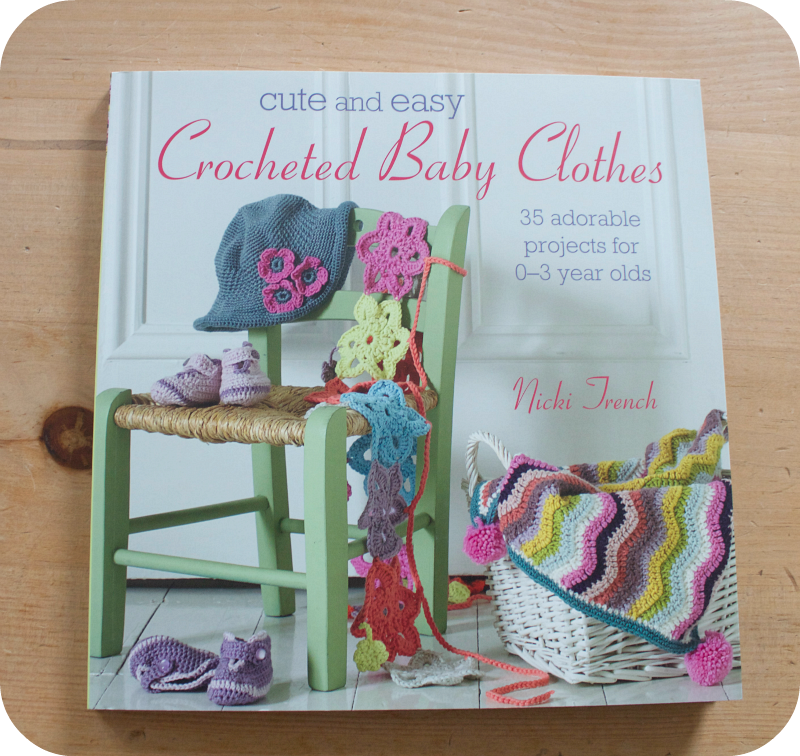 Another recent purchase, Cute and Easy Crocheted Baby Clothes by Nicki Trench. Rest assured, I don't have any announcements to make; I bought it almost purely for this pattern which has been on one of my Pinterest boards for an age. I absolutely adore it. My accessories of choice this week. I won the scarf (Avoca Anthology) on Ebay a couple of weeks ago and just love the colour combination. I did a little happy dance when it arrived in the post, so delighted was I with its prettiness! 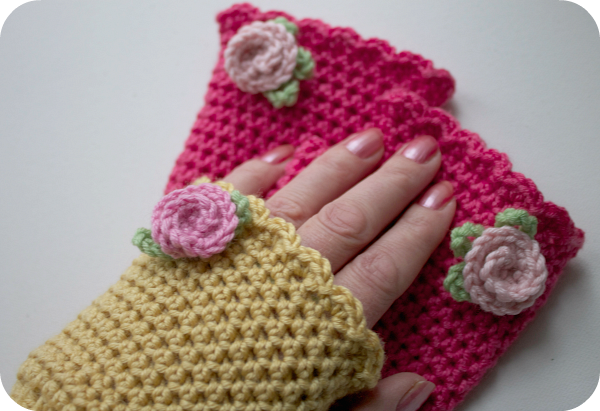 Ok. Another small matter to address - my promise of a crochet pattern to be released on Tuesday. It would seem that a public declaration on my blog acts only as a magnet for disaster and I am not going to be quite so contrived again. If I am, you have my permission to come and give me a slap. In future, I will only announce something once it's happened. Like now. 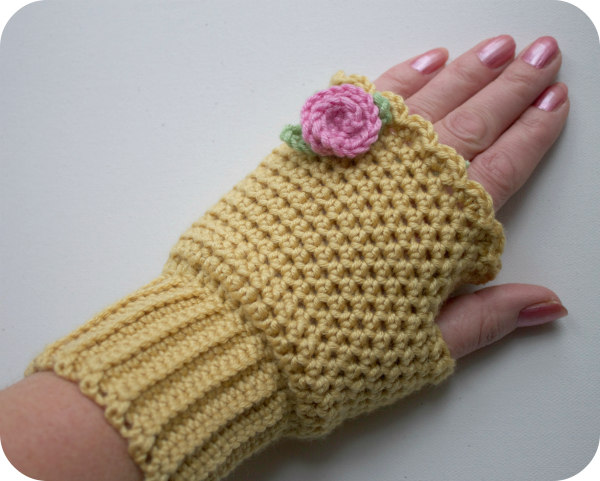 Three days later than planned, I can confirm that I have now listed my Miss Read Mitts pattern in my Etsy shop. I do hope you've all managed to drift happily through the week without adversity. Have a glorious weekend and, if it involves fireworks, look after your little selves. Like I haven't already got enough WIPs on the go...! I may have to try out a few of these. They'd make lovely Christmas presents, don't you think?! But just to be safe, beware of black cats, ladders and broken mirrors ;-) ! 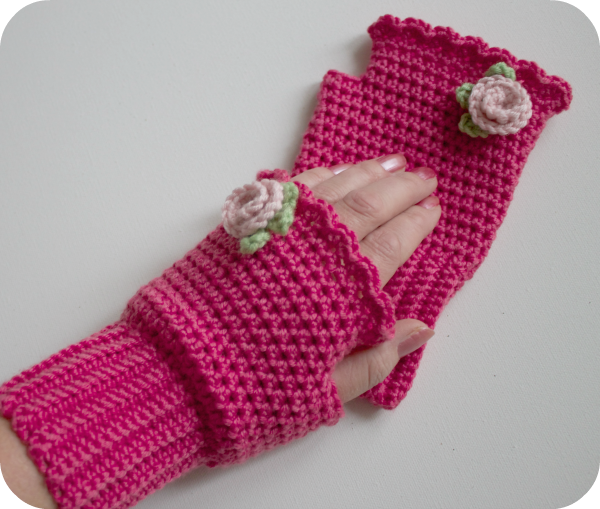 Lovely gloves pattern Heather, so neat, pretty and stylish. Sorry you've had such a rubbish week, it does sound like you can blame the full moon! 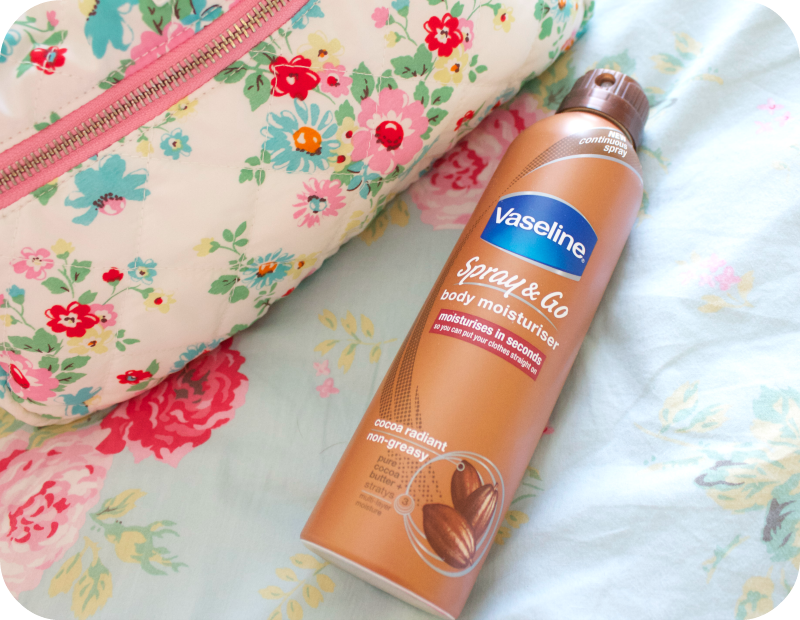 Hope the weekend is back to normal for you, have a good one! 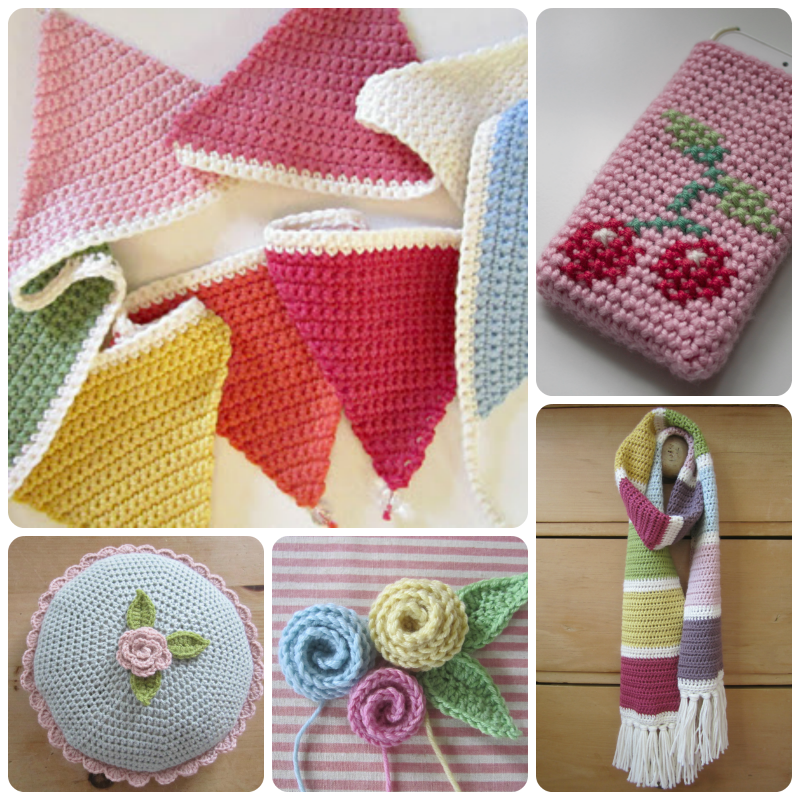 I have just started my own little blog and have mentioned you in my first post, in my second post I plan to put a list together of my favourite craft blogs and would like to include you in that as well, I had hoped to put a little collage of some of your crochet pics together for it, would you grant me permission? pretty please?! it will all be linked back to you. I do hope you come back here to check for a reply. The book is just lovely and, I promise, I wouldn't say that without meaning it. 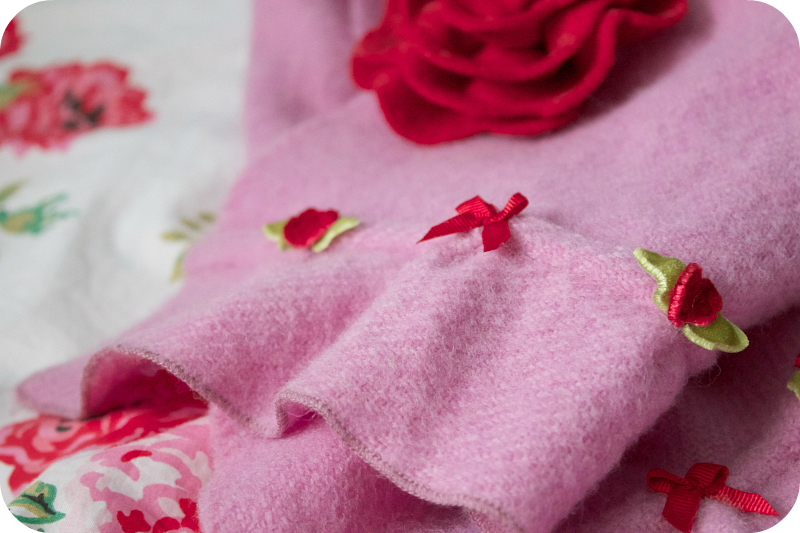 Despite the title, it's got toys, blankets, a garland, the cutest little clothes hangers and wash cloth patterns too. 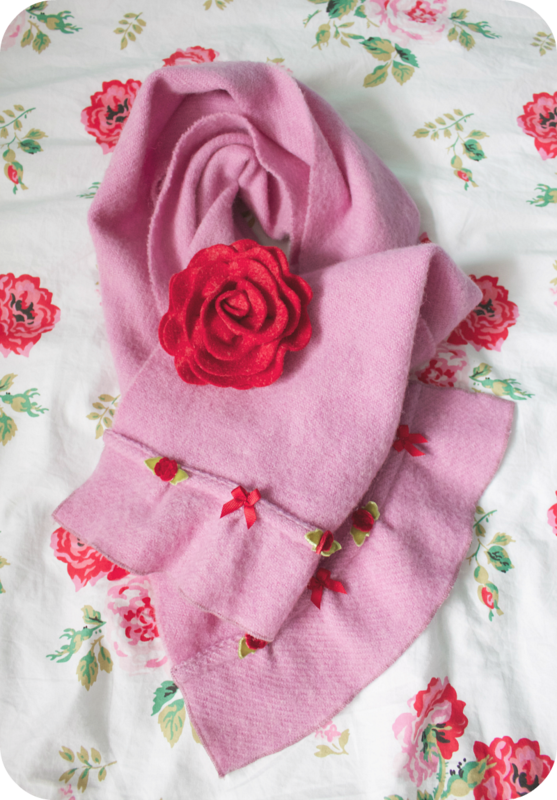 The heart blanket is my favourite but there is a tank top with the same design which I should love to make. 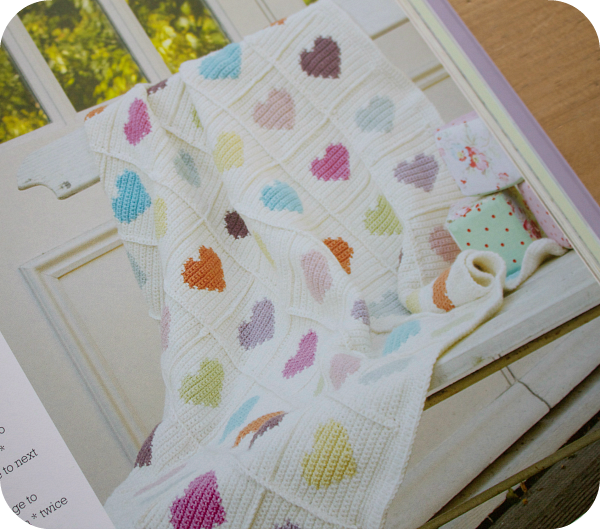 I don't know how experienced you are re crocheting but, in my opinion, Nicki Trench's books are up there with the best when it comes to clearly written patterns. I am extremely flattered you'd like to include mention of me in your blog and, yes, by all means, feel free to use my pictures. Do let me have a link to your blog though so that I might come and visit. Ha-ha!!! Lovely post Heather!!! Sorry you had such a bad week but you're writing style actually made it sound quite funny!!!! 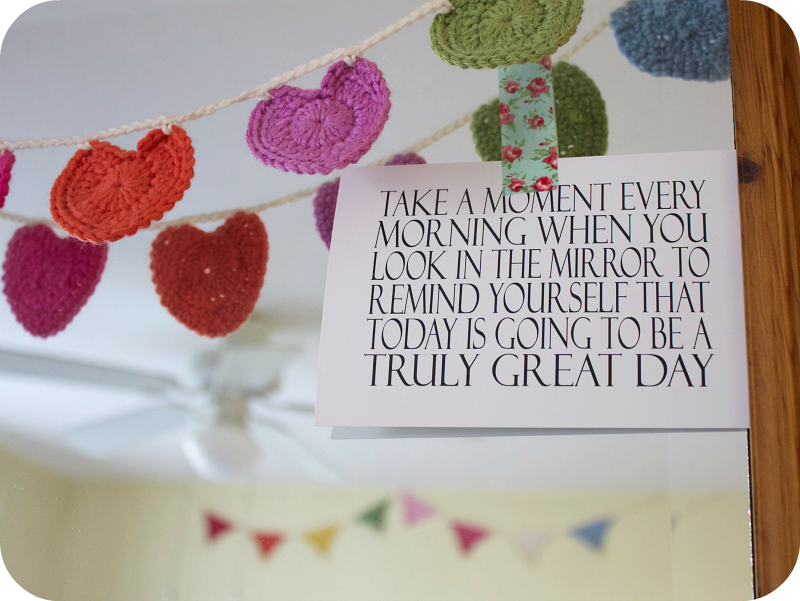 Have a fab weekend!!!! Well I think you have sold the book to me! I'm going to have to sneak out and buy it I think! My blog link is http://cornishrosediaries.blogspot.co.uk/ Ive actually mentioned you in my first blog post and in my second which I plan to post Sunday evening, so please, if you have time take a look at them both! I really like the mitts Heather, the ribbing on the cuff is a great idea. I hope you have a better, mishap-free week this week.